© 2018 Peter Green. All rights reserved. 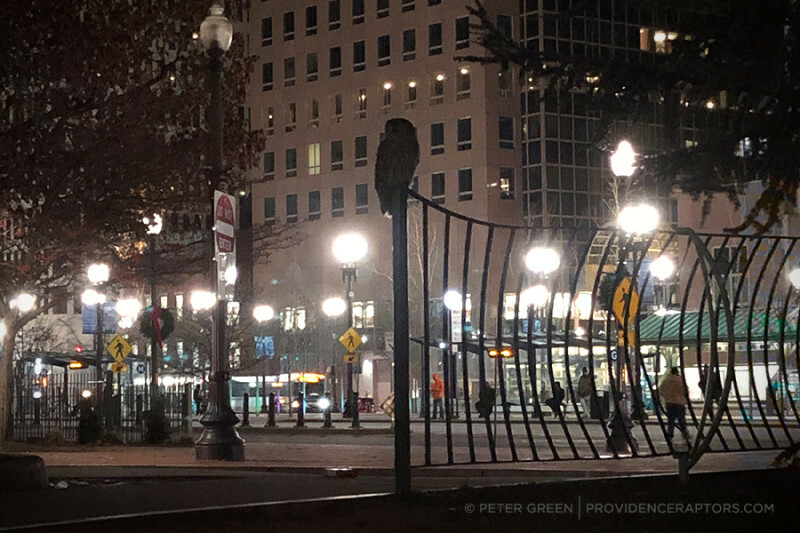 11.12.18 Filed under Owls. Post a comment. 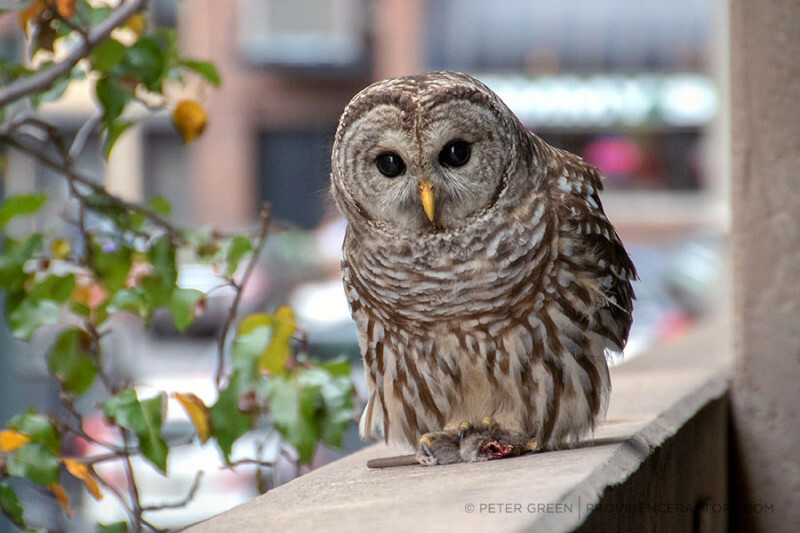 Amazingly, there’s been wild Barred Owl downtown this month preying on rats and pigeons. 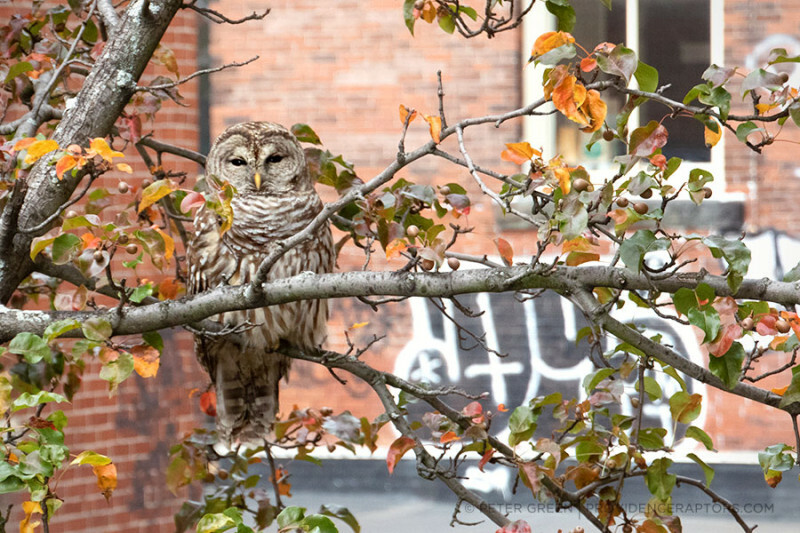 It’s great to see this beautiful raptor hunting successfully in the urban environment. 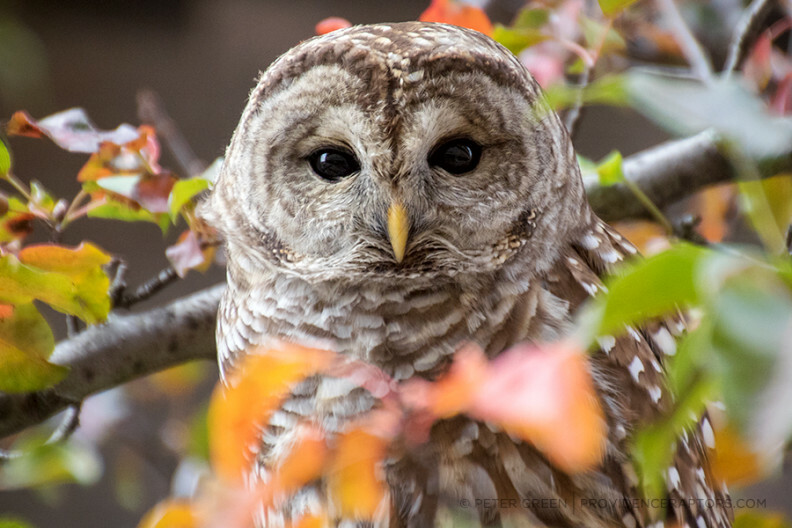 Barred Owls are usually found in woodlands and suburbs, but have been moving into cities now too. 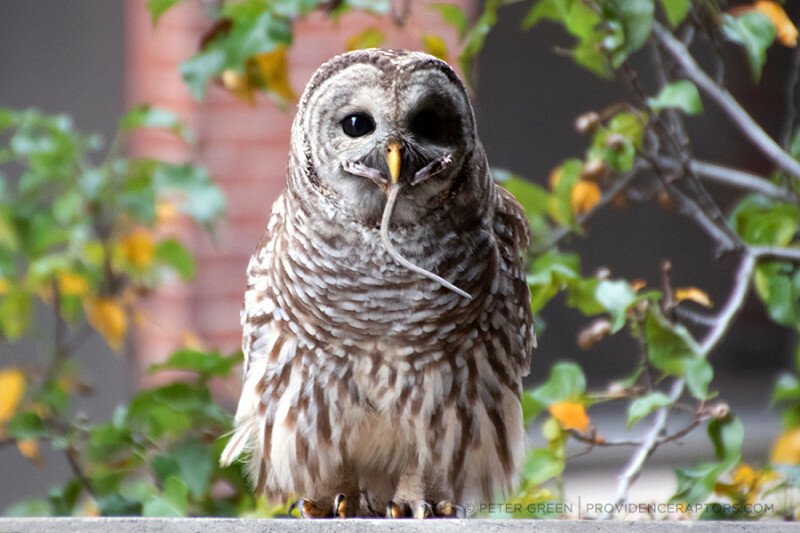 Why hunt a songbird through the dense trees when there are hundreds of pigeons and rats to eat in the city? 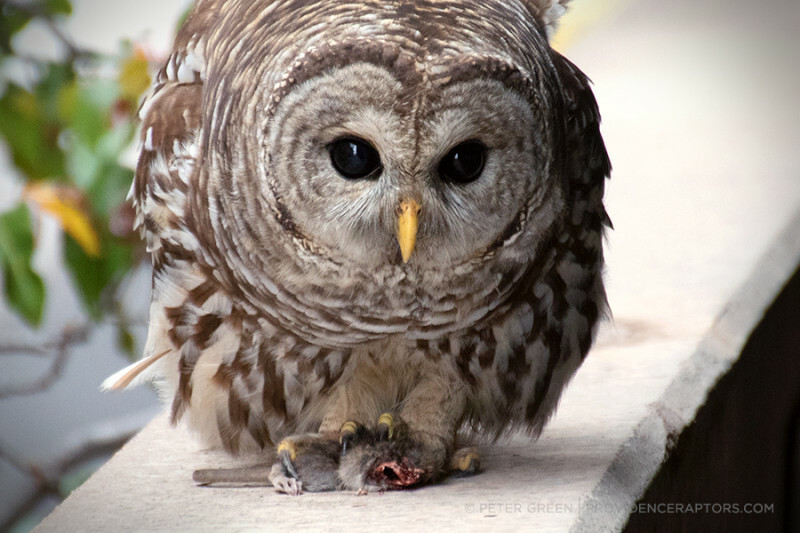 (Barred owl makes successful kill in downtown Vancouver). But intruders do have to watch out for the resident Peregrine Falcons. 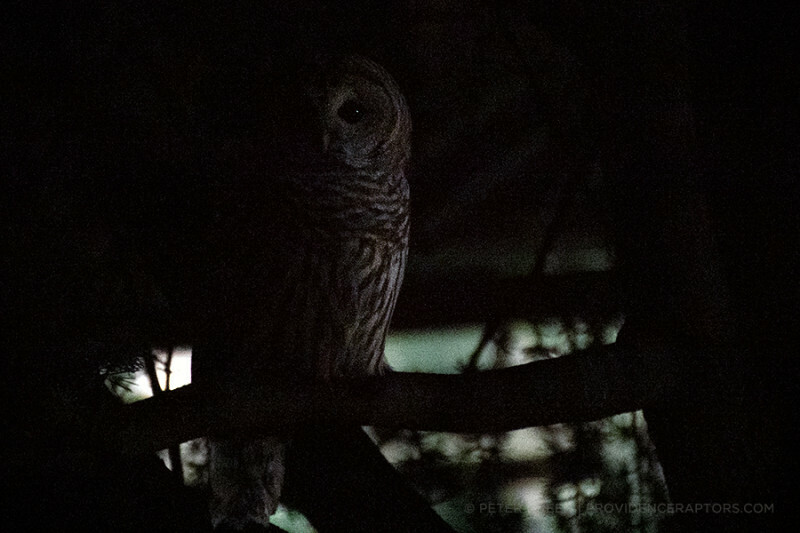 I did once find the entire tail section of a Barred Owl below the nest box of the falcons. 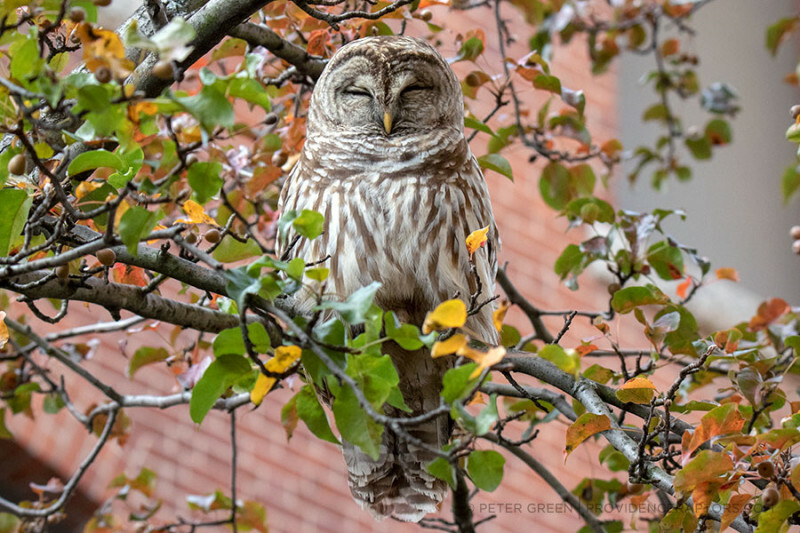 Throughout December, he was downtown hunting rats – successfully. Truly amazing to witness under the city lights. 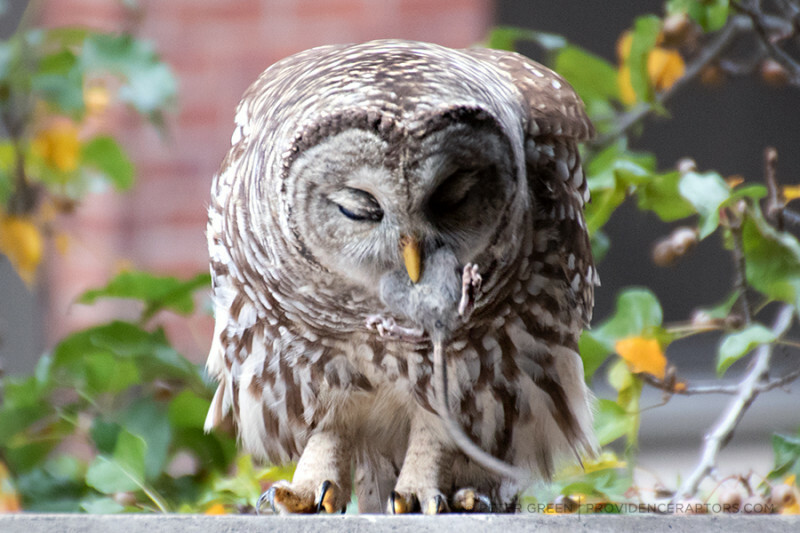 If Barred Owls eat at least 3 rodents per night, then this handsome guy may have removed 100 rats and mice from our city this past month. 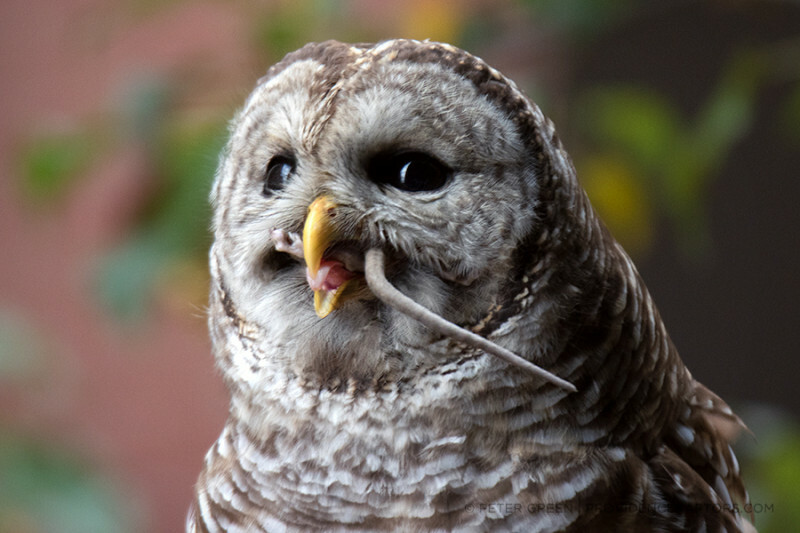 You go, owl! Fantastic shots! Hi Peter! 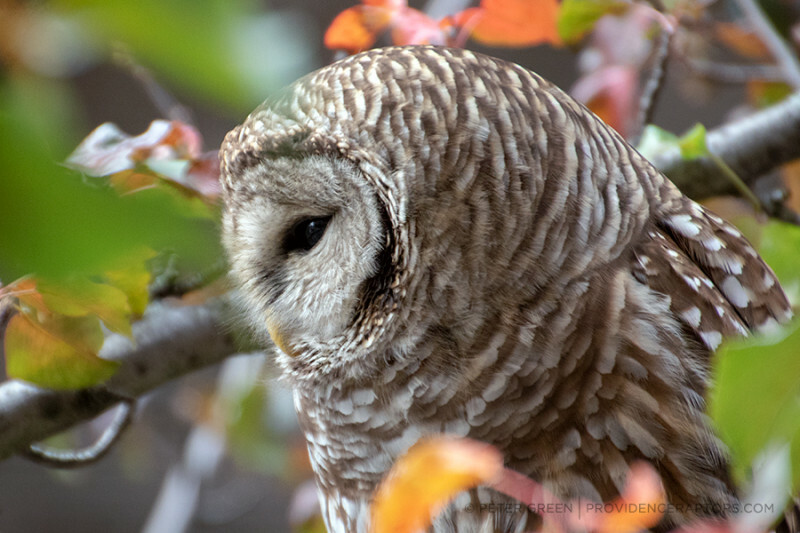 Incredible pictures of the barred owl!! 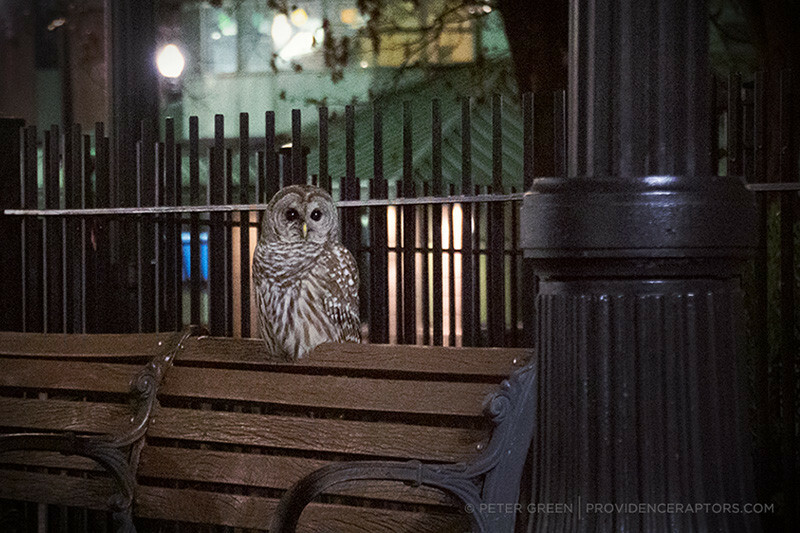 I am so glad it decided to check out the scene downtown. No visible bird bands? It’s really unbelievable. 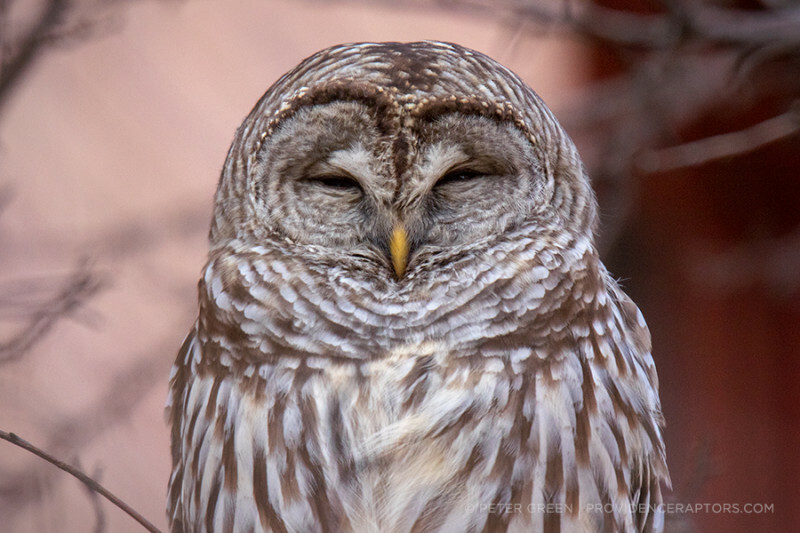 Seems like a young owl. Haven’t seen bands but haven’t really seen the feet much either. Will we hear calls come February? 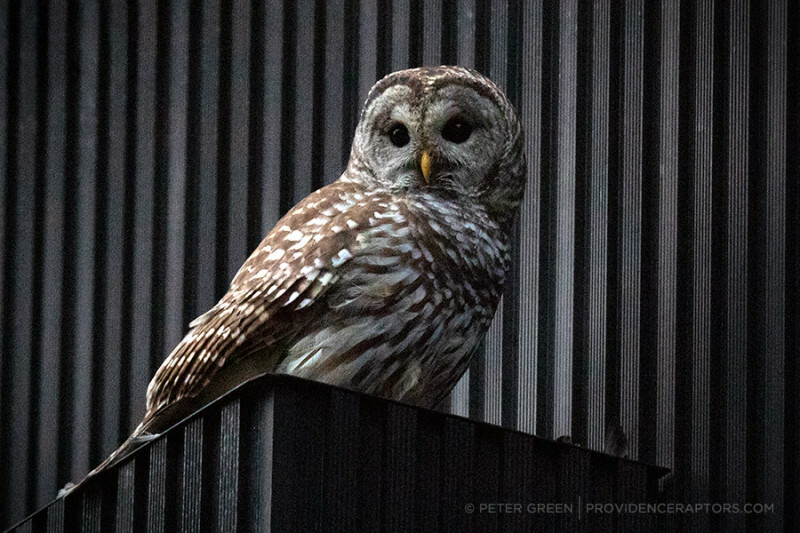 Could Providence support a breeding pair? 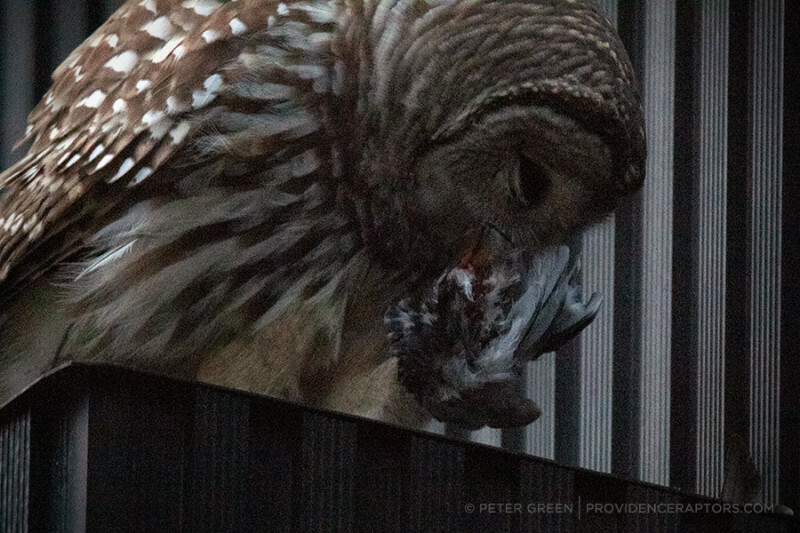 You never know, I’m continually surprised… but the owl already had a scuffle with a Cooper’s Hawk and it would certainly need to watch out for the Peregrine Falcons. 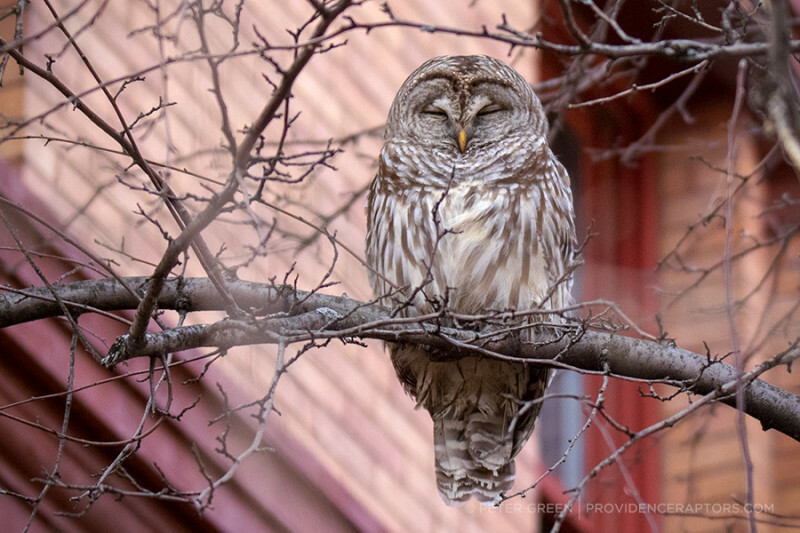 Hopefully the owl can find a safer place to call its own. Stunning photos! 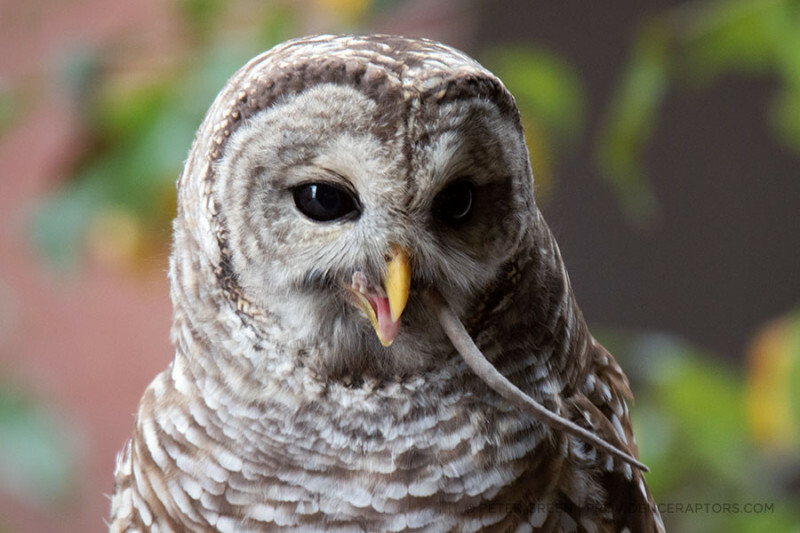 This beautiful bird is not only successfully feeding himself, he’s also decreasing the population of, um, less desirable animals!